Private lessons for one or two people. 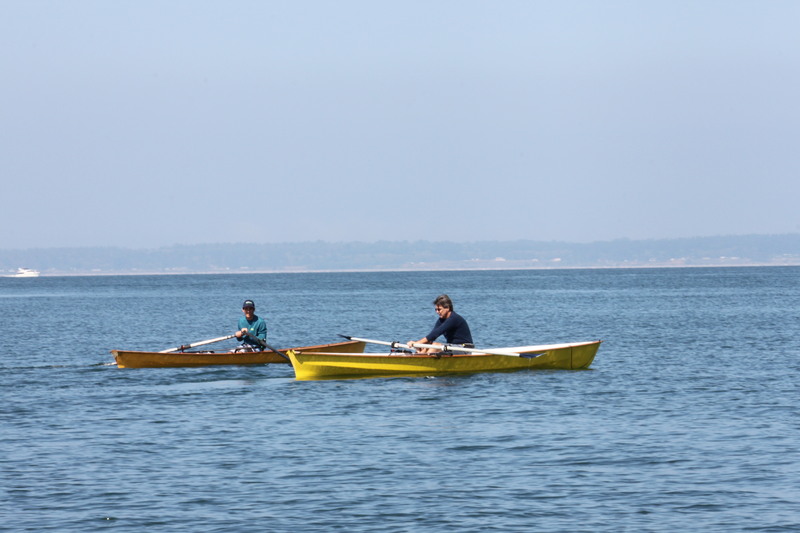 Choose between rowing an individual boat or a tandem boat with our instructor or your partner. The CBC has three Wherry sliding seat row boats, two are set up for individual rowing and the third is convertible between a single and double. These boats are stable in the water and great to learn how to row on. For more advanced lessons, we also have an Echo rowing shell which is narrower and faster. Private lessons are customized to meet the needs of every students. We can accommodate both beginners and intermediate rowers. Cost per hour is $50 for an individual or $75 for two. 90 minute minimum on your first lesson. Lessons are scheduled around your schedule and instructor availability.